How Long Is Too Long When Waiting For The Tube? Harry Rosehill How Long Is Too Long When Waiting For The Tube? Exactly how long is too long when it comes to waiting for the tube? YouGov has polled the public and found out what we think. When it comes to impatiently staring into blank nothingness on an Underground platform, five minutes or more counts as a long time for the majority of people. This data does raise some questions. 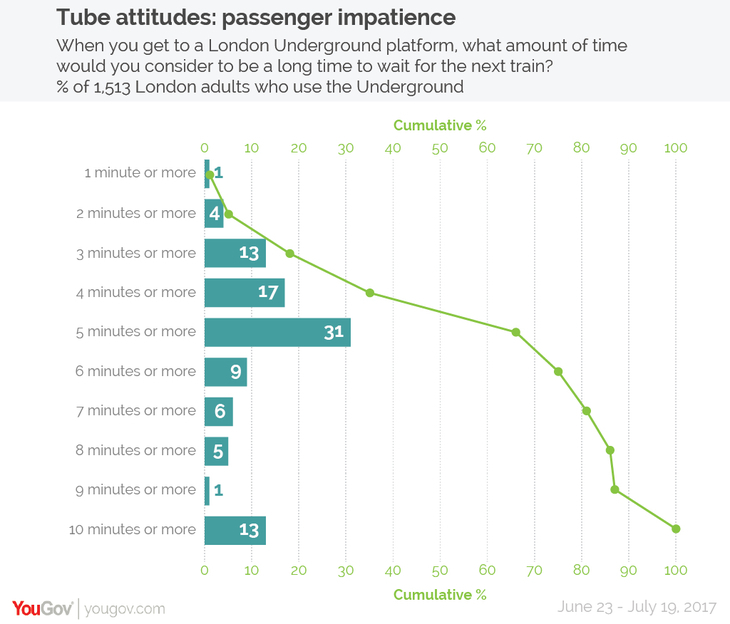 The most important of which is; who are the 15 people who view one minute as a long time to wait for a tube? If you are one of these people, please get in touch with us — we're dying to know. 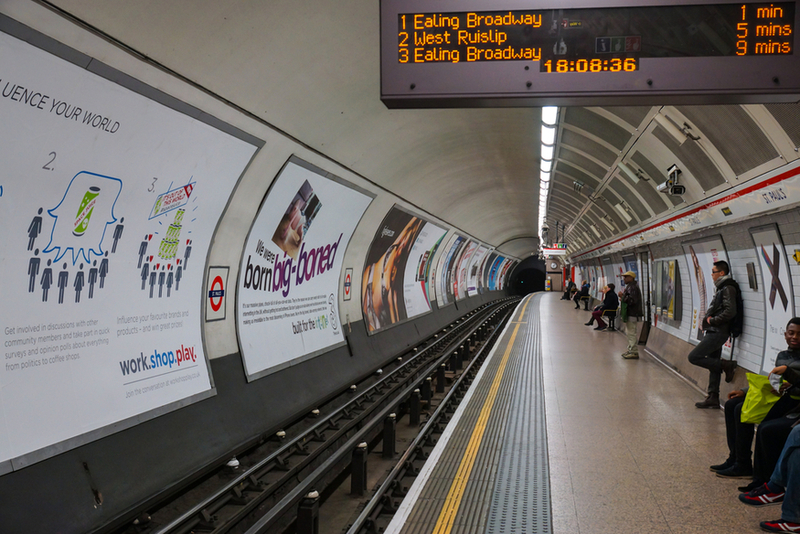 We wonder how many people polled are regular Victoria line users. Despite the majority of people listing five minutes as a long wait, on the Victoria line two minutes can technically be considered lengthy. That's because there's now a Victoria line train every 100 seconds at peak times. The data does have one other slight flaw. If you ask someone who lives near and awkward spur of the tube — say Mill Hill East — compared to someone who lives near a central station, you're going to get very different answers. Nevertheless, the data is fun to study. Let us know below what you consider to be a long time for the next train to arrive.